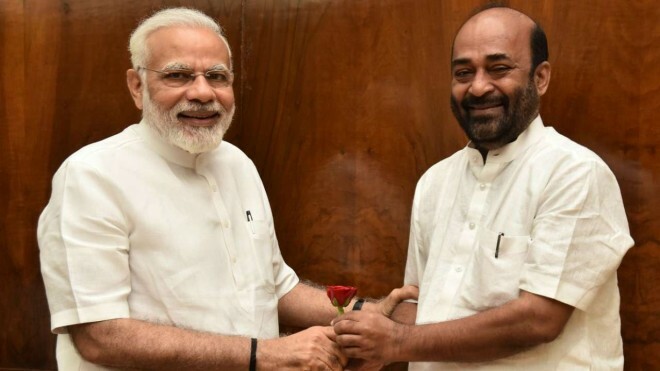 Panaji, Mar 18: Goa BJP president Vinay Tendulkar said there would be clarity on who would be the state's new chief minister by 2 pm on Monday. Tendulkar said this after meeting Union minister and senior BJP leader Nitin Gadkari at a hotel near here over the issue. Unsettled political activities are on in the coastal state to select the new chief minister after the death of chief minister Manohar Parrikar Sunday. "The decision on a chief ministerial candidate is yet to be taken. But the picture will be clear by 2 pm," Tendulkar said, adding that the new chief minister would be sworn in after 3 pm Monday. Tendulkar met Gadkari along with Assembly Speaker Pramod Sawant, who is an opponent for the top post. Earlier in the day, Gadkari met ally Maharashtrawadi Gomantak Party (MGP) MLAs led by Sudin Dhavalikar and BJP legislator Vishwajit Rane. Dhavalikar and Rane are also aspirants for the chief minister's post, BJP sources said. Sawant and Rane are front- runners, they added. Meetings held on Sunday night by the BJP and its alliance partners the Goa Forward Party, the MGP and independents - remained deficient. Gadkari again held talks Monday morning with leaders of the BJP and MGP to finalize Parrikar's successor.